The Inca Trail is the most famous trek in South America and in the wolrd. come and experience the incas footsteps, an antique civilisation of Perú, you travel from Cusco's north through de beatiful landscapes of Sacred Valley and the cloud forest to get to " Machu Picchu" one of the seven wonder of the wolrd. The Classic Inca Trail starts in Piscacucho community by kilometer 82 on the route Cusco - Machu Picchu and this roadgo through nice valleys surrounded by the Andes mountains with beautiful glaciers until you reach the tropical forests. During the tour you will visit many archaeological sites and beauty glaciers until you reach Machu Picchu. The Inca Trail accept until 750 people every day during the months of March to January that included tourists, tour guides and porters. You must reserve your ticket with 6 months in advace due to this limitation (specially for Classic Inca Trail 4 days). there is another shorter Inca trails, The One day Inca Trail and the Short Inca Trail. We invite you to take a look all our tours. 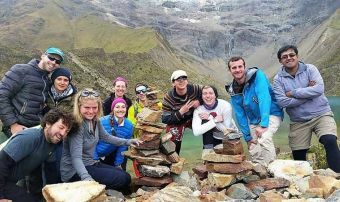 The Inca Trail can be done with authorized companies and authorized tour guides that are regulated by the Peruvian government. As well as multi-day trek to Machu Picchu (the city discovered by Hiran Binghan), we offer a variety of other options as alternative treks or Salkantay Trek to Machhu Picchu. Huayna Picchu is an extra hike and you must contact with us if you want to visit it, because we only have 400 authorized tickets per day for visitors in two different shifts. Classic Inca Trail to reach Machu Picchu in 4 days with a extra service like Hot Shower, Private Toilet, english speaker tour guiades, great food, & you can Hike to Huayna Picchu Mountain to get best view of Machu Picchu Inca City. 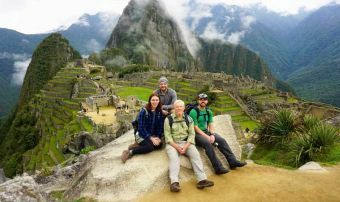 Short Inca Trail to Machu Picchu and live a fantastic day hike, enjoy the sungate view at Machu Picchu, and hike to Huayna Picchu at sunrise next day by local tour company. and 3 stars Hotel at Aguas Calientes for cheap Price.